My process for design is simple. 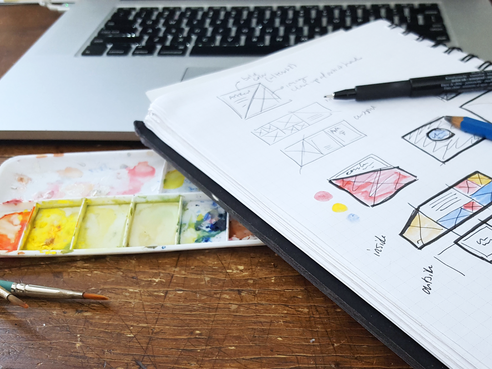 ​After connecting with the client and discussing their needs and vision, I begin with pencil and paper. The concepts are transferred to computer and presented to the client in a professional and clean format. The final product comes after collective revisions and adjustments. The process yields a personal design every time.